Great bar, really fun space. The drinks are fun and the kind you'd expect in here. 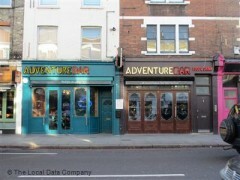 The bar staff are really friendly and the whole booking process was really easy. I'll definitely be back!